I would not use it in DS either, i LIKE the parameters also. I find manipulator easy in modeling apps, but hate it in carrara for posing, so if included, I hope it is optional. prefer to have both options control handles straight on the mesh and parameter shuffle list. i dislike scrolling by the parameters control list to find the handle i need. great time is lost with scrolling the parameter setting list. example to see control rig in action. with parameter setting control you can not have fast control on your mesh morphing/blending. I personally would like to see a legacy interface from Studio 3.0 as an option for a GUI. I'm JUST beginning to get the hang of 4.0's interface, which I have disliked since release. The reason I snagged Studio in the first place was due to the interface back when I found the beta versions of Studio back in 2005. Oh, yes. Particularly since the back-and-forthing between the Studio content and the Poser content can be such a pain. It would be nice (even if it would take up some screen real estate) to be able to have them both open at once. Daz is in an interesting position -- they discovered that the real sales are in the content, not the program, but they need to improve the compatibility to make the content more attractive. The interesting thing is that they are actually constrained by the amount of content they have. There's a lot of stuff, but the old stuff doesn't always play nice with the new stuff. Not only that but there are a lot of people making v4/m4 products that are not compatible with Genesis (without plugins). So I would recommend Daz focus on making all content automatically backward compatible with Genesis -- it doesn't matter if I get A3/V2/expressions/clothes/poses/whatever. I buy it and it automatically works with Genesis with no problems. I buy A3 expressions? They automagically map on to Genesis with no plugins or other foolishness. I download V2 clothes from ShareCG -- they just fit. They started it with the auto-fitting tool, they just need to finish the job. Improving autofit so that it can handle long skirts without either breaking the mesh at the bottyom front, or putting nasty texture stretching at center front would be vastly welcome. Nearly everything else comes in without too big of a hassle (so long as it was originally made for a supported figure) but it still chokes on the skirts. Alternately, a different rigging for skirts anywhere beyond mini length. Those too often tend to cling to the legs and give the texture stretching front and center. I'm sure that skirts and pants were rigged differently before Genesis. I COULD be wrong, it's been known to happen, but I think asking for V2-Genesis compatability is probably not going to happen. So far as your expressions, etc, as in morphs, you can use GenX to convert those :) That's not automatic and not likely ever to be. That would undermine the content DAZ Sells. I keep meaning to ask if there's some alternative to the AutoFit or Transfer utility... I've seen some dresses that are rigged amazingly, and it would be nice to simply adapt that rig for Genesis, no matter how tedious it is to do so. Where possible, I've sometimes scaled and parented a skirt (or boots, and turn off Genesis's feet and toes) to Genesis and just adjusted the item to fit the pose manually using the item's original rigging. But that won't work for everything. 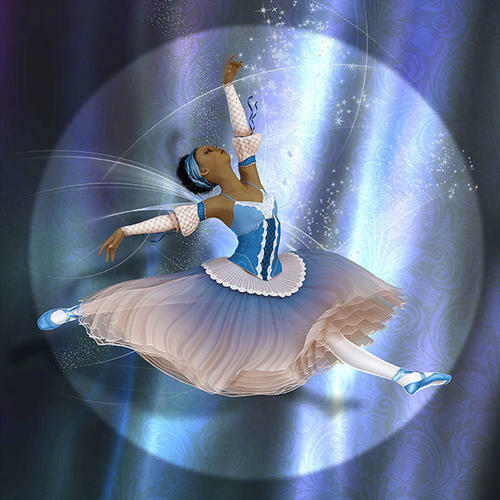 Here's Littlefox's old A3 Ballet set (tights and shoes are from her V4 set) The leotard and corset are autofit, the skirt is scaled and parented and manually posed. I could have done a bit better if I could have seen all the layers more clearly, but the viewscreen doesn't always really show the layers of things. I was amazed that the shoes came through autofit so well. Littlefox's shoes have a higher than average affinity for autofit, but the other time I've used these, I had to cover the heels and ankles up with the legwarmers to get the image done. These just had a tiny bit of poke-through where the inner sole poked through the outer on the bottom of the foot, and I'm not convinced it wouldn't have done exactly the same if I'd been using V4. SickleYeild has done a set that DAZ passed on was supposed to be up at Rendo by now. She's redoing an alternate version for DAZ as well (there will be enough differences that it would be no hardship to have both). Either will provide shoes rigged for Genesis. Don't know about Littlefox. The A3 skirt scales and parents, but the V4 romantic tutu is long enough that the mesh breaks at the lower front, and it isn't a separate skirt like this. I don't know about the texture stretching. All the other components of the V4 sets autofit without a hitch so far as I could tell. So I don't know how eager she would be to revisit the same ground for just the long tutu and the shoes. I would not hold my breath if I were you. What your talking about, if at all possible would take far more time and resources then any one company care to comit. 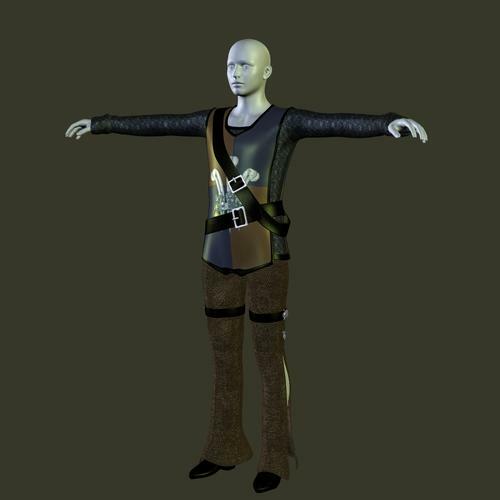 You may not realize that expressions are made in a modeling program by modifying the mesh of the original human model and then exported as a new mesh which is then imported and the software sets it up as a morph. You cannot just simply "map it" to a new figure. It does not work that way. Clothing and hair fitting is far easier cause they are their own mesh that can be modified to fit a new figure. Not always perfectly but it can be done. I do not see autofit going too far. Tweaked and improved yes, but not to the point where you can just throw anything on it. After all they want to encourage new sales of new content. Old content was good for its day but it was limited due to system resources and the software at the time. So while its nice that you can fit old stuff to the new guy, does not mean it will look any better on him. I would honestly rather see newer and better content be made then try to fit everything to Genesis. At the same time the older generation of figures and their clothing can be used in newer ways taking advantage of the newer technologies in DAZ Studio even without using Genesis. ...on this note, expanded/improved clothing fit options for the Transfer Utility. fit menu. A clone shape will appear in the Transfer Utility as well as in AutoFit, so adding new figures is just a question of creating a clone shape - which of course needs the creator or rights owner's permission, if it's to be distributed. I would like to have a manual and an auto-save feature. ...figures are not so much the issue (especially if one has Gen X and the various legacy body shapes). I was referring to the clothing style options that appear in the Transfer Utility pop up menu. There need to be more such as "Skirt Floor Length (loose/tight), Coat - Long/Short (loose/tight), Neckwear (loose/tight) and more options within a couple of the current ones (some only have "tight" but not "loose" fit). Add 'Robe, Floor Length' (not sure that any of those would really be qualified as tight). The Gen4 Mage Robe and Sorceress Gown are too good to have to abandon. Nor are they the only long one-piece garments that could use a better conversion utility. ...same for the Trinity, Steampunk Cowboy, and Raiver long coats as well as the Seaworthy PeaCoat and Sensibility series. Pretty much anything remotely historical period, too. Which means a lot of what people use the program for. I think DS5 should have better exporting e.g to Modo, Silo3d, Unity3d, 3Ds Max and more cause exporting Genesis figures isnt looking good. 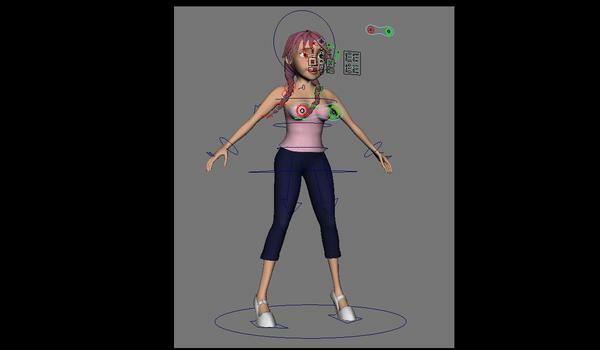 And Kinect Motion Capture for animations. DS45 uses subdivision to smooth Genesis. In order to get Genesis as smooth in a different app, you will need to apply subdivision to it in that app. 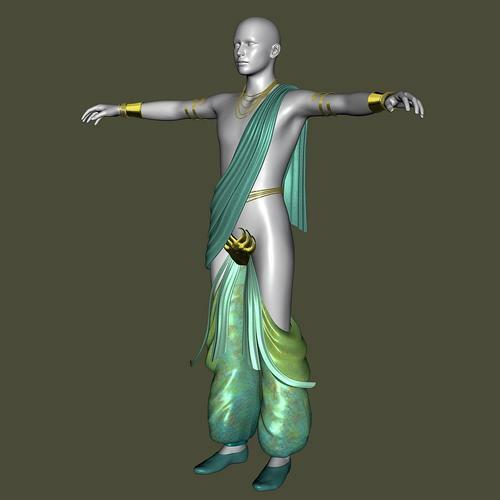 You can export Genesis as an OBJ as base resolution for use in any other app if you desire to model clothes or morphs for it. And if you are talking about a rigged version...I don't know of any app that exports a rigged character that doesn't need tweaking to a total rebuild of the rig when imported into another app. I would love it if genesis base model wasn't. Hidden under starter essentials I really don't find the location that easy to find. Would love it if I could locate these files was more prominent. I'm not sure what you mean -- are you talking about locating the user-facing file in the Content Library, or locating the data file? Sorry for any confusion. It seems in my previous version of daz, locating genesis, and textures for men and women was easier. Now to find genesis base model if I do not use the initial one loaded, or wish to add another I must go to Products>people>genesis starter essentials>people>Genesis to click on basic genesis. This is a lot of clicks. Secondly, I would love if textures and figures were categorized better. An example of this is I have James for M5, but he is listed under genesis product, not under products for M5, so unless I know that I must go to the basic genesis directory to locate M5 skin, I cannot find him. Likewise Gabriel is not in the M5 directory, but in Genesis category. I find this confusing, I guess. This is in my smart content. I admit, I don't use smart content for loading "base" items (Sets, figures, etc.) So I find Genesis in Content Library tab under DS Formats->My Library->People->Genesis. Might be in Categories->Default->People too, but I never use the default categories. (For me, Smart content is only for locating textures for clothes, hair, props, etc. I don't even use it for loading Genesis characters or clothing.) I also never use the product view unless I'm having trouble finding parts after the first install. But then, the folders view is what works best for the way I think.